Join my co-authors Jessica Johnson, Kathy Perret and me with host Justin Baeder, talking about one of our favorite topics – using instructional coaching techniques as school leaders. 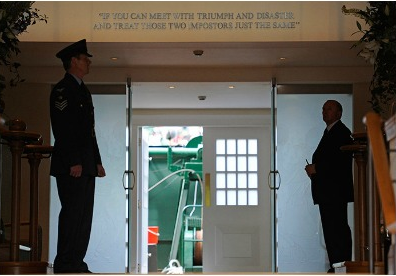 Walking out onto center court at Wimbeldon, the last sight players encounter before emerging into public view are the words, not of an athlete or a coach, but of writer Rudyard Kipling: If you can meet with Triumph and Disaster and treat those two imposters just the same. The words could be viewed as a meditation, encapsulating core values of resilience, perseverance, and humility. They temper the wisdom of positive psychology beckoning us to embrace happiness and optimism, almost to excess. While happiness and optimism are vital for sure, I’ve come to crave greater emotional balance. A plethora of articles in the past several years beckon us to recognize that an exclusive emphasize on happiness can be counterproductive. Conflict energizes, mistakes are necessary to achieve top performance, and similarity fosters complacency and breeds overconfidence. Emotions typically viewed as negative like anger, embarrassment, and shame are vital to foster greater engagement, directing our attention to serious issues and prompting us to make corrections that eventually lead to success. Disagreement, typically viewed as unpleasant and unharmonious, when conducted with respect opens our thinking promoting far more effective and creative problem solving. Owning our mistakes without blame or shame, rather than hiding or avoiding them, promotes progress. A turning point for me in my own understanding of myself came while watching Pixar’s Inside Out, now one of my very favorite movies. Seeing myself as the character “joy”, I was jolted both by how helpful, yet how annoying and blindsided a single-minded quest for joy can be. Having long emphasized, or rather overemphasized the positive, I realized I had inadvertently denied myself, and others around me, vital opportunities for learning and growth possible by embrace of a wider range of emotions and experiences. The recognition came not only from the movie, or a number of articles, but from the painful ups and downs of life and the growth that is possible when we open ourselves to experience pain as well as joy. Reflecting with my dear friends, co-moderators of #educoach – a weekly twitter chat, and co-authors of our recently published book The Coach Approach To School Leadership: Leading Teachers To Higher Levels of Effectiveness, I reflected on how our frequent conversations on celebrating the positive, perhaps to excess, were necessary, but insufficient. We talked more and more about finding greater balance in our own approach to coaching teachers, reflecting on balance, which in our idealistic perspectives on educators and schools, we had sometimes neglected. With all the sharing that occurs in our age of social media, all of the opening of ourselves, it is paradoxical that much of our essence remains more hidden than ever. “It is only with the heart that one can see rightly; what is essential is invisible to the eye,” wrote Antoine de Saint-Exupery in The Little Prince. His words continue to ring true, with many of us choosing to hide the messy, complicated, broken places in our lives which ultimately, when embraced, can enable us to become the best of who we are. Portfolio team with our friends new friends, Greg and Erin Whitely, and Slade and Andrea Combs. It was truly a full circle moment for us, seeing as Greg’s movie, “Most Likely To Succeed” has been a great source of inspiration for us from the beginning. In the 1999 film The Matrix the main character, Neo, is given a choice by Morpheus, an elusive figure for whom Neo has been searching. Embrace reality or don’t; take a red pill and experience the truth of our world, which has been deliberately hidden, or take a blue pill and continue on with the illusory, albeit comfortable, understanding of our world as we have perceived it to be. Although I did not realize it at the time, seeing the film Most Likely To Succeed for the first time, almost two years ago, was a “red pill” moment for me, opening my eyes to the possible, to a truth I had grasped at but had not yet recognized possible. I sat alongside a group of talented, dedicated educators, watching and then discussing the film. Most of us in the room were already believers, agreeing wholeheartedly with the film’s premise that the current educational system in the United States, developed a century ago during the rise of the industrial age, has remained stagnant while the world economy has evolved and transformed, leaving graduates woefully unprepared for jobs demanding radically different skills than those that existed when our current educational model was created. Even more, many of us perceived ourselves to be innovators, boasting about initiatives in our schools including engineering and technology programs, courses in financial literacy and entrepreneurial skills, and innovation labs or Maker Spaces with high tech tools such as 3-D printers and laser cutters. And yet, being honest with ourselves, we realized and painfully shared with one another, how our schools could add “bells and whistles” through interesting programming and add-ons, yet were unprepared to rethink the experience of school in a serious way. Thus, despite our admirable efforts, we were failing to create an educational environment such as that at High Tech High, highlighted in the film, that would truly and meaningfully be most likely to succeed in the 21st Century. What I saw of High Tech High in the film Most Likely To Succeed surprised and intrigued me. Despite the school’s name, High Tech High looked more like a school dedicated to the arts than a school dedicated to technology. Aesthetically beautiful work created by students was evident every place one looked, and there was a poignant emphasis on supporting students to reflect on themselves as learners, creators, and human beings. There was also a strong embrace of Project-Based Learning in which students engage in deep inquiry around questions and challenges with multiple possible answers and solutions, creating projects that are shared with the community in exhibitions in which the school is transformed into a museum and performing arts center. Never turning back, I immersed myself in Project-Based Learning, training teachers in the approach. Given the opportunity several months later to lead a trip of educators to visit High Tech High and the whole system of High Tech charter schools in San Diego, I became even more enamored with the emphasis on creative problem solving and self-reflection so central to High Tech HIgh’s vision of learning. I longed for the opportunity to serve in a school like High Tech High, that not only pushed the boundaries of what was possible with interesting programs, but that redefined learning in a way that serves contemporary students. It was then that I found Portfolio. Applying for the position of founding Lower School Director at Portfolio may have been “love at first quote”, as I shared an educational philosophy statement along with my resume that opened with a quote by Tony Wagner, a co-creator of the film Most Likely To Succeed who is a member of Portfolio’s Advisory Committee. The quote was this: “The world no longer cares how much you know; the world cares about what you can do with what you know.” I quickly recognized that Portfolio co-founders Babur Habib and Doug Schachtel were people ready to reimagine the possible in order to support the next generation to be prepared for careers in which nobody will be the least bit interested in the facts they could or could not spit back for standardized tests, but in which many will depend on them to apply knowledge creatively in order to solve increasingly complex problems. Just a little more than 6 months after viewing Most Likely To Succeed for the first time, with numerous viewings in between, I saw the film again, alongside other members of Portfolio’s founding team. This time, I was not dismayed by the seemingly overwhelming obstacles in our schools to rethinking the experience of school in a serious way. Instead, I felt privileged to be working with people ready to reimagine school in order to support students to gain the creative problem solving expertise necessary to lead our communities and our society into the future. Since that time, we have shown the film even more times, often following with questions and answers including skyping in our new friend Scott Swaaley, who is the teacher featured in the film, and currently Assistant Director of the Innovation Lab at the Nueva School in Northern California. Recently, we came full circle again, showing Portfolio to Greg Whitley, director and producer of the film, and his wife Erin who makes a cameo appearance in the film. We’ve come a long way from seeing Most Likely To Succeed, creating a school that has stretched us beyond what we imagined possible, even though we began with a grand vision to reimagine what education can be. Stay tuned for more on the journey to reimagine education.